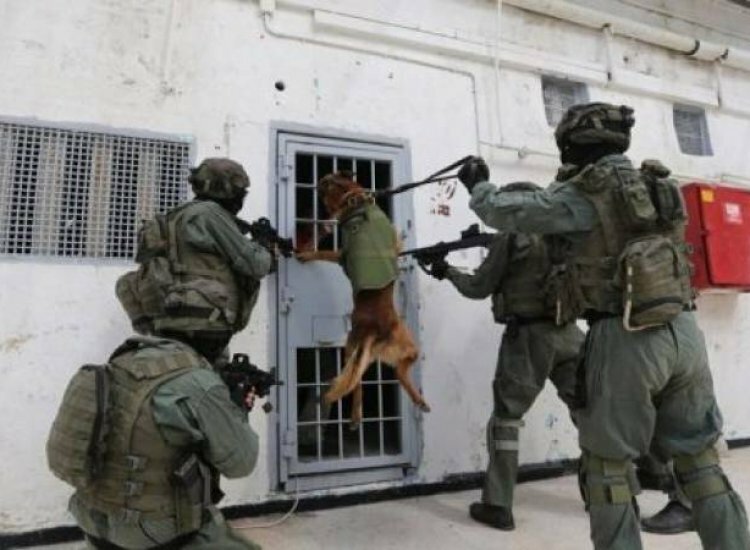 West Bank, ALRAY - Israeli Prison Services claimed that a Palestinian detainee set fir on himself in Negev desert detention center Sunday, noting that he is put in solitary confinement after being saved; Israeli especial forces summoned as a state of tension prevailed the prison. According to Walla Hebrew site, a detainee in section 5 in Negev prison set fire on himself; IPS claimed that it is to investigate the incident. Israeli 7 channel reported that one of Hamas detainees in Negev prison set fire on his sleeves, noting that it is the second incidents in less than week. IPS special units deployed in Negev prison and Ramon in preparing for any confrontations. IPS also equipped the detention with field clinic as a state of tension involved the prisons. A Prison Service spokesperson said in an official statement that they are on high alert for protest measures by Hamas. "As a result of the IPS's activity to thwart terror-related attempts from within the prisons, and following Hamas's announcement of protest measures, the IPS is preparing for various scenarios," the spokesperson said. Hamas leaders at an Israeli prison announced their resignation from their posts as prisoner representatives over the plan to install a device that blocks cellphone service in prisons. IPS considered the resignation of Hamas leaders from their posts, a protest step against the installation of the device at Ketziot Prison. Haaretz reported that the device, which will also be installed at other prisons as well, has created a crisis in relations between prison officials and jailed Hamas leaders.